What is a Ball Valve? What is a Butterfly Valve? 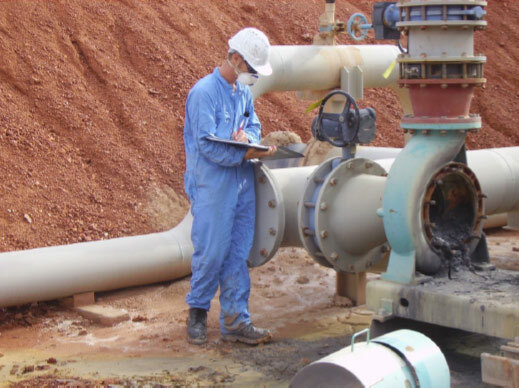 What is a Gate Valve? What is a Globe Valve? What is a Knifegate Valve? What is the PCD of a Flange? JV Butterfly Valves, lugged or wafer type, with integrally moulded Elastomer body sleeve are designed for longer life and trouble free performance. The integrally moulded sleeve ensures perfect resistance to friction between disc and sleeve. Integrally moulded Elastomer liner restricts dislocation of seat and ensures longer life. Flat surface on the disc and the liner at the top and bottom ensures perfect sealing between body, disc and stem. Elastomer body liner is extended deep into the top and bottom of disc shaft passages with integral ‘O’ ring to ensure no working media contacts the body material, thus ensures longer life for body. A primary seal provided at the top end of the body prevents entry of any foreign particles in the valve, thus ensures longer life for stem and smooth operation. Valve disc is designed to ensure smooth straight through flow, which reduces pressure drop across the valve. Close tolerance maintained between the liner, disc and stem reduces operation torque and ensures smooth and easy operation. Integrally moulded liner and integral gasket at both ends of the valve eliminates requirement of Valve mounting gaskets. Designed and manufactured to conform BS 5155/API 609. Suitable to mount between flanges with ANSI B16.5 [150#] or BS-10 Table D/E. Pneumatic and Electrical actuated valves are available on demand. Top platform of valve is suitable to mount actuator or manual gearbox directly. Pressure 150# to 600# or PN 16 to PN 100. Available Body Materials WCB, LCB, WC6, WC9, C12, C5, CF8, CF3, CF3M, CF8M, PVC. Design & Manufacture API 609, MSS SP-67, MSS SP-68. Face to Face ISO5752 of 13th BS 5155, API 609, MSS SP-67, MSS SP-68. End Connection Wafer / Lugged. Test Standard API 598, ISO5208, BS 6755. Structure Type Centre Line Pattern, Double Eccentric Pattern, Three Eccentric Pattern. Actuation Lever, Gear, Pneumatic, Electric. A butterfly valve is a shut-off valve with a relatively simple construction. In closed position, the disc blocks the valve bore while in open position, the disc is turned to allow flow. A quarter turn takes the valve from fully open to fully closed position, or opposite, and thus the butterfly valve allows for quick opening and closure. 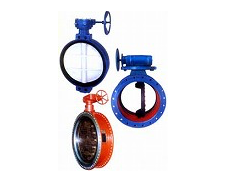 Butterfly valves can be used for a broad range of applications within water supply, wastewater treatment, fire protection and gas supply, in the chemical and oil industries, in fuel handling systems, power generation etc. Some of the advantages for this type of valve are the simple construction not taking up too much space, and the light weight and lower cost compared to other valve designs. 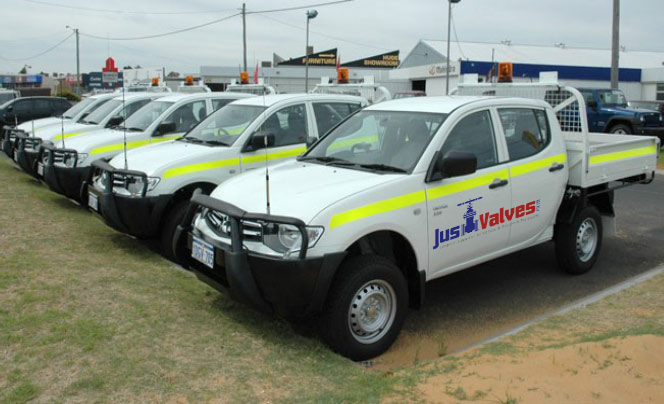 The valves can be operated by handles, gears or actuators according to any specific need. The butterfly valve can be centric or eccentric. On a centric (concentric) butterfly valve the stem is centered in the middle of the disc and the disc centered in the bore. The eccentric butterfly valve has one or more stems (stub shafts) located offset from the center according to the categories of single, double and triple offset valves.